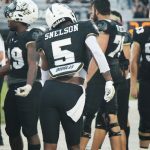 All photos taken by Sarah Kelliher @sarahkelliher4 for Knight Sports Now. 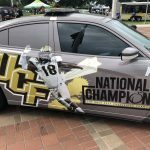 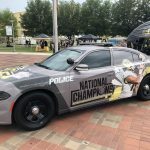 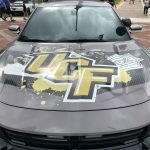 The UCF National Champions Police car. 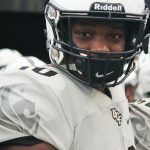 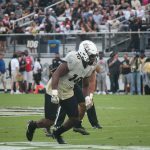 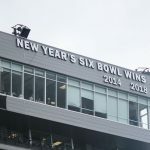 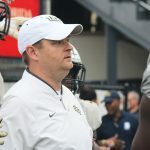 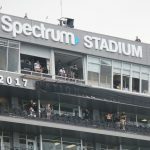 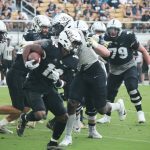 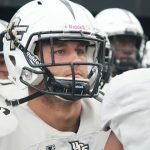 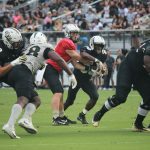 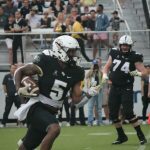 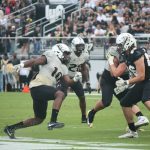 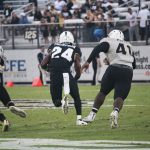 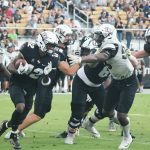 On display for the first time, UCF added their New Year’s Six Bowl wins to the top of Spectrum Stadium. 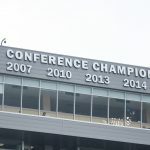 On display for the first time, UCF added their Conference Champion wins to the top of Spectrum Stadium. 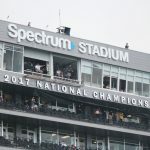 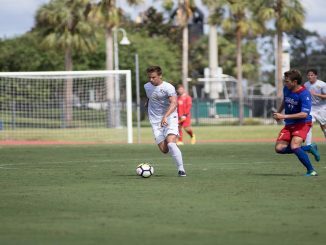 On display for the first time, UCF added their claimed National Championship to the top of Spectrum Stadium. 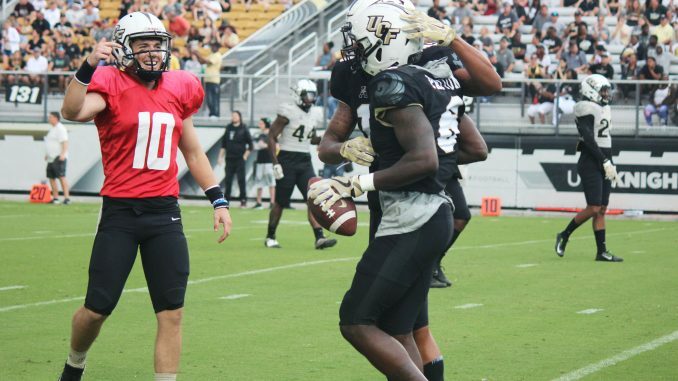 Wide receivers Tre Nixon (16) and Tristan Payton (6) get hyped up in warms up. 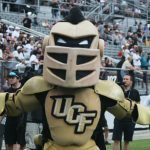 Knightro poses for the camera before the start of the game. 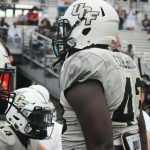 Defensive lineman Aaron Cochran fires the team up before running out of the tunnel. 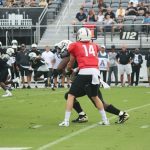 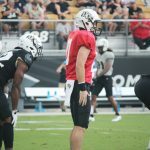 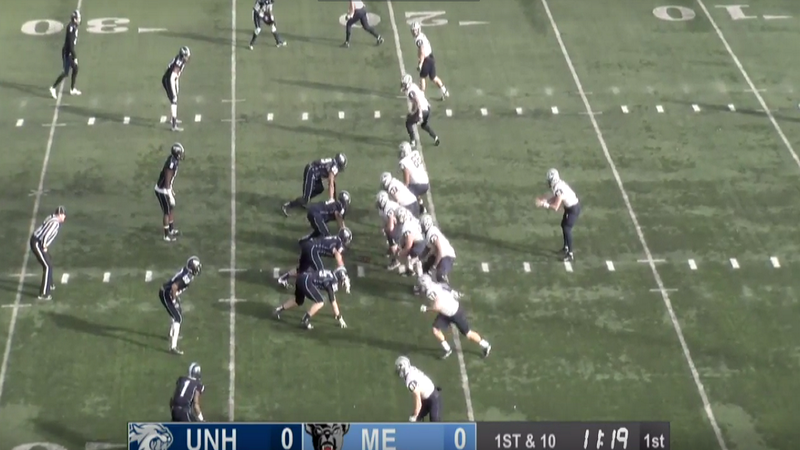 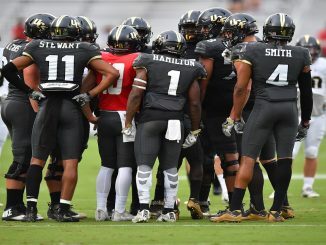 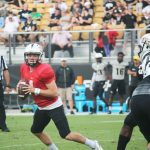 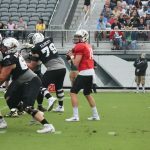 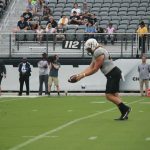 Quarterback McKenzie Milton lines up the offense. 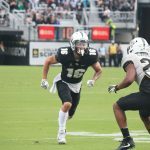 Wide receiver Tre Nixon runs a route. 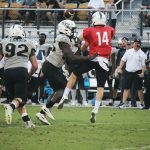 Quarterback Hayden Kingston hands it off. 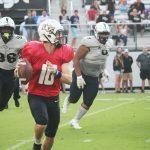 Quarterback Hayden Kingston looks to make a pass. 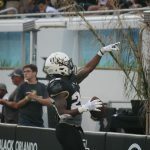 Wide receiver Tristan Payton catches a touchdown. 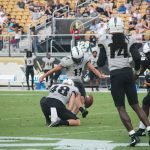 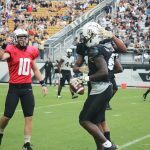 Quarterback McKenzie Milton and wide receivers Tristan Payton (6) and Gabe Davis (13) celebrate Payton’s touchdown. 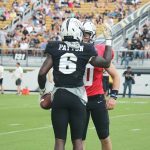 Wide receiver Tristan Payton (6) celebrates with Quarterback McKenzie Milton after his touchdown. 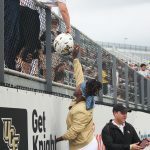 Forner UCF star Shaquem Griffin signs autographs for fans. 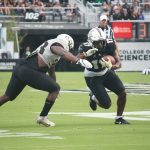 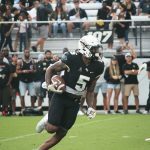 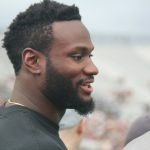 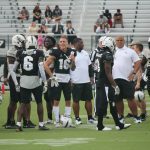 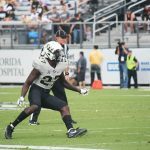 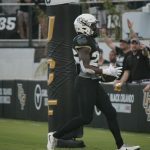 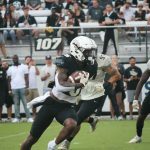 Former UCF star and current Minnesota Vikings running back Latavius Murray was in attendance at the UCF Spring Game. 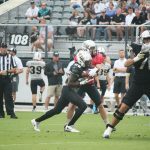 Wide receiver Tristan Payton gets in on a trick play and throws a long pass. 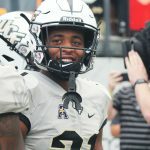 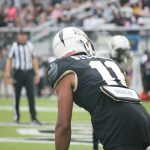 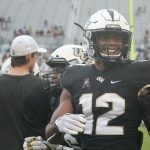 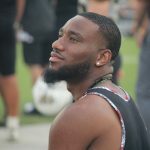 Former UCF star Tre’Quan Smith was in attendance for the UCF Spring Game. 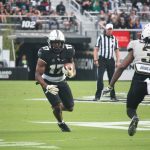 Otis Anderson with the touchdown. 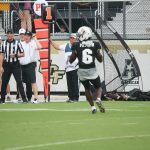 Otis Anderson finds a fan in the crowd. 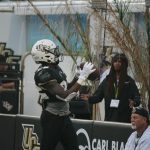 Otis Anderson tosses the ball to a fan after his touchdown. 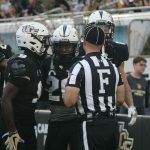 Otis Anderson celebrates with his teammates after his fan favorite celebration. 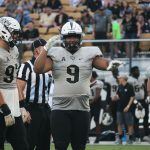 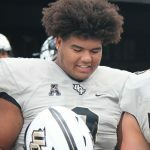 Defensive lineman Trsyten Hill (9) poses for a photo mid game. 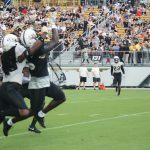 In a crowd favorite moment, wide receiver Dredrick Snelson dances away on the sidelines. 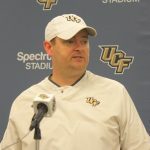 Coach Josh Heupel addresses the media after the game.